South Australian Attorney General and Minister for most things has been found out of order this week in Question Time. 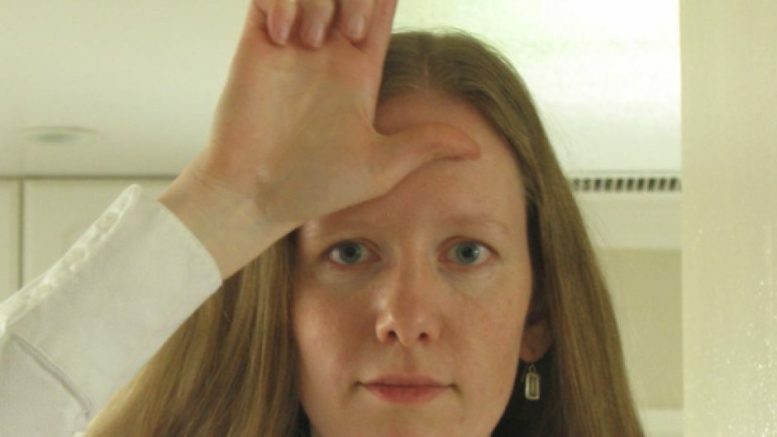 Now the question is whether a repeated gesture interpreted by some as a big L imputing loser to the Minister was intended so or indeed an intended phewy broadside from Bay 13 of the spectators box. 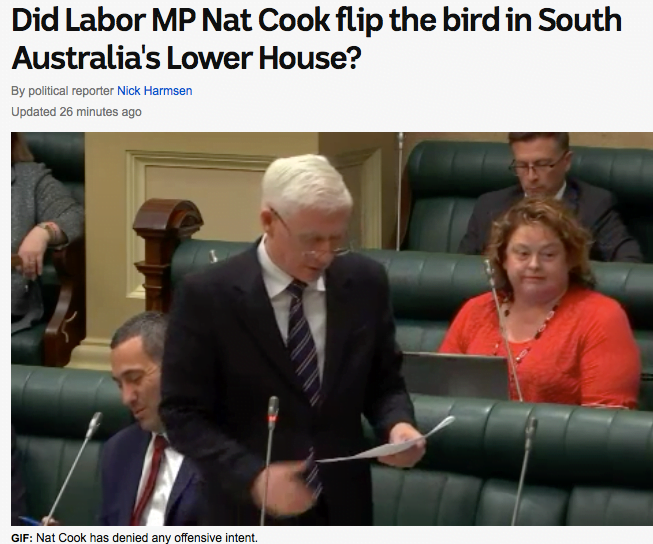 On this occasion best to give MP Nat Cook the benefit of the doubt – scratch on the head versus you are a loser message – will no doubt be debated for years. The ABC began this delightful story and RM continues back stage to listen to the full pantamine in motion. Mr PISONI (Unley) (15:25): My question is to the Premier. Will the Premier now organise the release of the audit into buildings in Adelaide identified as being clad with aluminium composite panels and, if not, could he explain why not? The Hon. J.R. RAU (Enfield—Deputy Premier, Attorney-General, Minister for Justice Reform, Minister for Planning, Minister for Industrial Relations, Minister for Child Protection Reform, Minister for the Public Sector, Minister for Consumer and Business Services, Minister for the City of Adelaide) (15:26): Mr Speaker, it isn’t my birthday, is it? It feels that way. The SPEAKER: It’s the Deputy Premier’s show today. The Hon. J.R. RAU: Stop referring to Mr Bevan. The SPEAKER: I call the Deputy Premier to order for referring to a person amongst our vast listening audience. The Hon. J.R. RAU: Very well. Thank you. I consider myself duly chastised. In relation to the cladding, we went through a process, which I think I explained a few weeks back, in the company of the Lord Mayor and the head of the MFS. The process was to go through and identify—we are starting with the city—when I am talking about the city I mean the Corporation of the City of Adelaide—and we are looking at multistorey buildings because Adelaide is where most of the multistorey buildings are, so we are starting there. We started off with about 4,000 buildings. We then collapsed that number to the point where there were, I think, 77 buildings, which were of further interest. By ‘further interest’ we don’t mean there is something wrong with them, we don’t mean they are unsafe, we mean they warrant further consideration. That’s all we mean. That was phase 1 of the audit we have undertaken. We are now in phase 2. We are actually going to individual buildings and what we are doing is looking at those buildings and asking ourselves a question like: has the Australian building and construction code been observed in the construction method applied to this building? Because, if it has, it is important to recognise that the material that people are interested in is not illegal or dangerous per se. This material is illegal in some circumstances. It is dangerous if not used in accordance with appropriate building rules, but if employed appropriately with appropriate building rules, like fire escapes and appropriate sprinklers and all these other things, which our building code does provide for, then these products are not unsafe products. Mr GARDNER: Point of order, standing order 98: the minister is no longer answering the question but debating the issue and impugning improper motive on members, including the deputy leader. The SPEAKER: Imputing improper motive. Mr GARDNER: Imputing improper motive—correct, sir. The Hon. J.R. RAU: I am confident of that: it’s not an imputation, really, but I can withdraw it if you want. The SPEAKER: I will listen carefully. The Hon. J.R. RAU: The point is this: we don’t want to run around alarming and frightening people who probably are living—almost certainly according to the MFS, I might add—in perfectly safe buildings. Mr GARDNER: Point of order. The Hon. J.R. RAU: I am answering the question, Mr Speaker. The SPEAKER: I think the Deputy Premier appears to be being germane. It was what he was asked, isn’t it? Mr GARDNER: In saying that we don’t want to do and then going on to repeat the allegation he had immediately made before, he was repeating the offence, in my view. The SPEAKER: In that the Deputy Premier was imputing that the opposition was scaring people? Mr GARDNER: He even named members. The SPEAKER: I would counsel the minister against that. The SPEAKER: The member’s time, alas, has expired. The Hon. J.R. RAU: What a shame.